After much buzz over the casting of the upcoming Les Miserables movie, the barricades are almost ready to be stormed as production begins on the highly anticipated big screen musical. Tony winner Hugh Jackman is now in rehearsals prepping to play reformed prisoner Jean Valjean, and has even grown a dashing beard for the part. 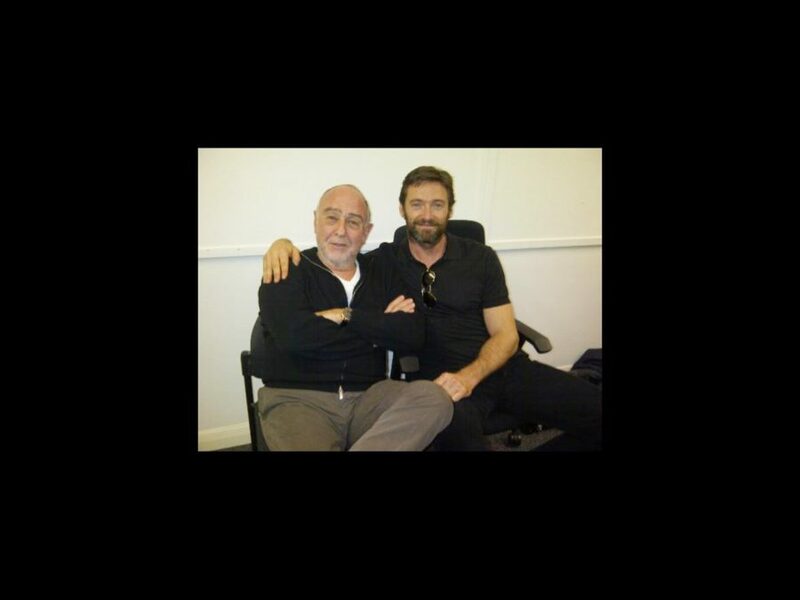 On February 7 Jackman tweeted a photo alongside Les Miserables composer Claude-Michel Schonberg saying, "What an honor…singing a new song with the composer, Claude Michel, at rehearsals for Les Mis!" No word on if the "new" song has been composed specifically for the Les Miserables movie. Thanks for sharing, Hugh, keep the photos coming! Les Miserables hits theaters December 7.